An important part of selling Highlands real estate involves responding to an offer. While there is no law that you need to respond to every offer it is a good idea to do so, after all you never know when the next one will come your way. When you have read an offer take the time to sit down with your Highlands REALTOR® and discuss what you agree with and what you disagree with before countering. Price is often the biggest sticking point in a contract and many sellers prefer not to respond to a lowball offer. Unless you are receiving offers regularly it is a good idea to respond to every offer that you receive. You never know if your counter offer could be a step toward closing on your home. If you receive a low offer you can respond with an amount you feel reasonable in order to start the negotiating process. If you can give a little the buyer will know that you are willing to negotiate. 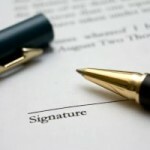 Other important aspects of a contract involve dates, financing and other contingencies. Communicate with your REALTOR® to impress your priorities and work toward completing a successful transaction. Responding to an offer is an important part of the process but it does not mean you have to give in to every demand. Contact me, Lynn Kimball, today to learn more about selling Highlands NC real estate. My knowledge and experience can work to your advantage. Let’s work together to get your home sold in a timely manner. Click here to read “Understanding the Offer Process” from HomeFinder.com.